New research calls into question a test used to identify diabetes risk. But we shouldn’t throw out the baby with bathwater, warn Prof Jim Mann and Dr Paul Dury. An Oxford University study and accompanying editorial, published in the British Medical Journal (BMJ), have raised questions regarding the most appropriate approach to prevent or delay the onset of type 2 diabetes (T2DM) in people with prediabetes. This topic is highly relevant to New Zealand where around quarter of a million people are known to have diabetes, mostly T2DM. Many more have undiagnosed and asymptomatic diabetes and an even greater number are at high risk of developing T2DM; they are often described as having prediabetes. Although published just days ago, there has already been debate in the British media regarding the government’s diabetes prevention programme in the light of these findings. It seems appropriate to consider their relevance to New Zealand where the impact of T2DM is even greater than in the UK. The HbA1c test measures your recent average blood sugar (glucose) level. Credit: Wisegeek. The authors correctly claim, among other findings, that haemoglobin A1c (HbA1c) – a measure of blood sugar – is not a sensitive or totally specific test for diagnosing prediabetes. About half the people who are considered to have prediabetes might be missed while about 20% of those with an “abnormal “test result might not have prediabetes. So some may be falsely reassured and not offered intervention, others may receive an incorrect diagnosis and may receive advice they don’t require. Furthermore, far from everyone diagnosed with prediabetes will go on to develop diabetes or its complications. For these reasons the authors suggest that a “screen and treat” approach to diabetes prevention may contribute little to stemming the tide of the rapidly expanding diabetes epidemic. As in the UK, HbA1c is widely used in New Zealand as a single non-fasting test for diagnosing diabetes and prediabetes. Should we stop using HbA1c? 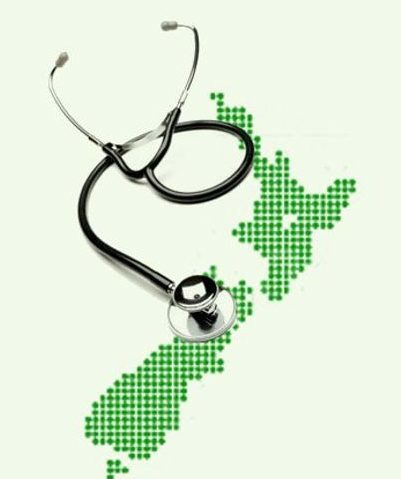 Does this new research suggest that we should abandon the current recommendation in New Zealand which advises that HbA1c should be measured at the same time as risk factors for cardiovascular disease (Cardiovascular Risk Assessment) by the age of 45 in men and 55 in women (at lower ages in various high risk groups including Maori and Pacific people)? We suggest that the answer is NO. Firstly, the comprehensive cardiovascular and diabetes risk assessment in New Zealand is designed to assess overall risk and to detect established diabetes; the finding of prediabetes comes as a byproduct. Broad achievement of the recent Ministry of Health target has undoubtedly increased both early diagnosis of diabetes and more effective cardiovascular risk reduction. Secondly, an increasing level of HbA1c is itself a risk factor for cardiovascular risk across the whole diabetes and prediabetes spectrum and, in the diabetic range, for microvascular disease. What is not explained in the paper is that the term “prediabetes” is not a clearly defined clinical entity any more than are hypertension ( raised blood pressure), hypercholesterlaemia ( raised blood cholesterol) or being a smoker of cigarettes. All are continuous risk factors for important non communicable diseases ( diabetes, heart disease, stroke, some cancers), ie they increase the risk of developing full blown diseases. They typically demonstrate a dose response effect – the higher the level of exposure, the greater the risk. The presence of more than one risk factor also greatly increases the risk. The diagnostic labels of prediabetes, hypertension and hypercholesterolaemia are terms of convenience used when arbitrary cut off levels are reached, and all have been the subject of extensive discussion and revision. One might indeed argue for the terms to be abandoned – but not for the measurement of HbA1c, blood pressure and cholesterol to be discontinued. HbA1c is a valuable diagnostic test for identifying people who have diabetes but also those who have not yet developed any obvious clinical features or complications of the disease. Identifying such individuals at an early stage is a critical component of any strategy for overall diabetes management. The gradient of risk of developing T2DM with increasing concentration of HbA1c means that those with levels just below the cut off for the diagnosis of diabetes are likely to be at highest risk of the disease. Furthermore, the increasing levels of HbA1c can be an important component of assessing overall risk of non communicable disease along with knowledge of blood pressure, the total to HDL cholesterol ratio and smoking habits. Thus the use of HbA1c is not limited to the diagnosis of prediabetes. Perhaps the cut offs for defining prediabetes or for individualized action should be reviewed and the fact that some people may develop T2DM without ever having been diagnosed as having prediabetes should be more strongly emphasized. Perhaps the term should be discouraged as some have done with regard to hypercholesterolaemia and hypertension? However knowledge of haemoglobin A1c concentration remains a useful if not essential component in the assessment and management of high risk patients and is certainly clinically useful in terms of explaining risk to individuals. . Preventing or delaying the onset of T2DM is now an international priority and the implications of the BMJ papers are that alternative approaches need to be developed to the “screen-and-treat” approach alone. “multisectoral action that simultaneously addresses different sectors that contribute to the production, distribution and marketing of food, while currently shaping an environment that facilitates and promotes adequate levels of physical activity”. We fully concur with the absolute necessity for a population approach to risk reduction if the diabetes epidemic is to be curbed. However, as has long been accepted with regard to coronary heart disease, the population and high risk/treat and screen policies are complementary rather than mutually exclusive. HbA1c has a useful role to play in identifying individuals at high risk of developing T2DM and in association with other cardiovascular risk factors in predicting risk of heart disease and stroke, though the optimum level for intervention remains uncertain. In New Zealand the government appears to be strongly supportive of measures to increase physical activity and useful initiatives are already in place though there has been less enthusiasm for creating a more appropriate food environment which is an essential component of obesity and diabetes risk reduction strategies. It may also be that the current balance between population and high-risk targeted interventions should be re-examined for optimum effectiveness in a New Zealand multi-cultural population. Jim Mann Professor in Medicine and Human Nutrition, University of Otago, Director Healthier Lives National Science Challenge and Edgar Diabetes and Obesity Research Centre. Paul Drury Honorary Consultant in Diabetes , Auckland District Health Board, Previously Medical Director New Zealand Society for the Study of Diabetes. This is an extremely good discussion of this issue. A 20% false positive, for “risk status” rather than a disease, based on a single test in fact seems low, considering that the only intervention likely to be recommended without further testing is diet and lifestyle advice of a sort generally believed to be fairly harmless, indeed which is, as you say, mostly the same sort of thing the Government spends money on encouraging in the general population. If routine lipid results also include the fasting triglyceride-to-HDL ratio, this if high may indicate whether a deterioration in glycaemic control is itself directly contributing to CVD and cancer risk (via hyperinsulinaemia and a more atherogenic lipid profile), and may also help to diagnose those cases at risk of T2DM for which the HbA1c test is providing a false negative result.